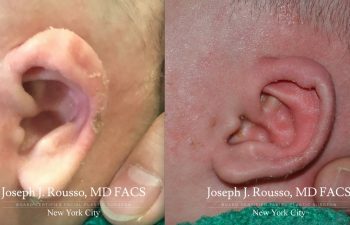 It is estimated that almost one-third of children are born with some type of ear birth defect, usually impacting the shape of the outer ear. While it is possible for minor defects to correct themselves over time, that is not always the case. 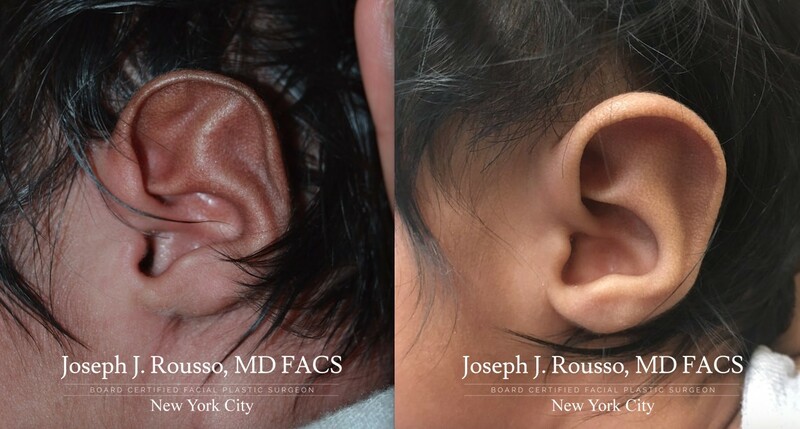 Some children must live with misshapen ears that can be a source of ridicule and embarrassment. 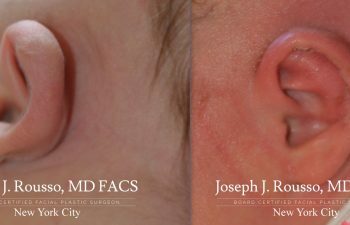 There is a noninvasive option available for reshaping some congenital ear defects – the EarWell™ Infant Ear Correction System. 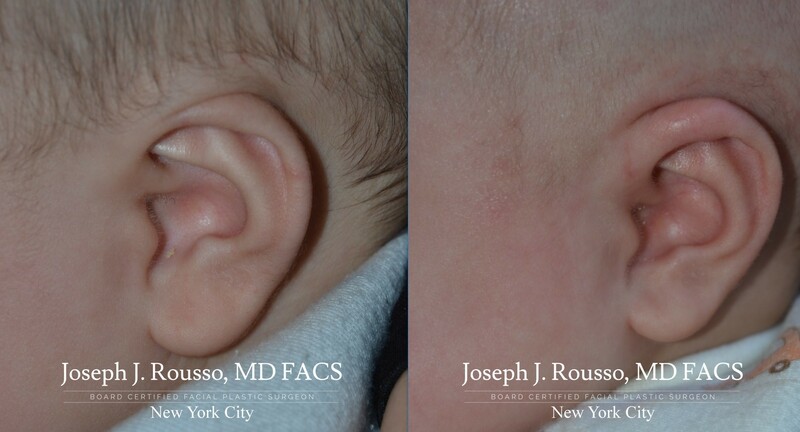 In the first few weeks after birth, the cartilage in the baby’s body is very pliable. This is due to a higher level of estrogen in the body that dissipates after about two months. 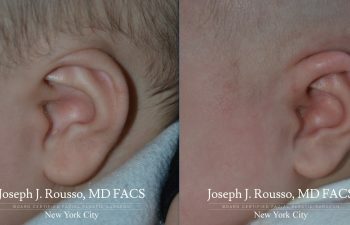 During this time, it is easier to reshape the ear without the need for surgery. 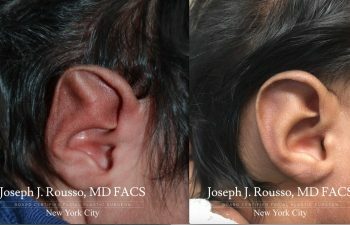 This has been done for centuries using crude devices to form the ear. 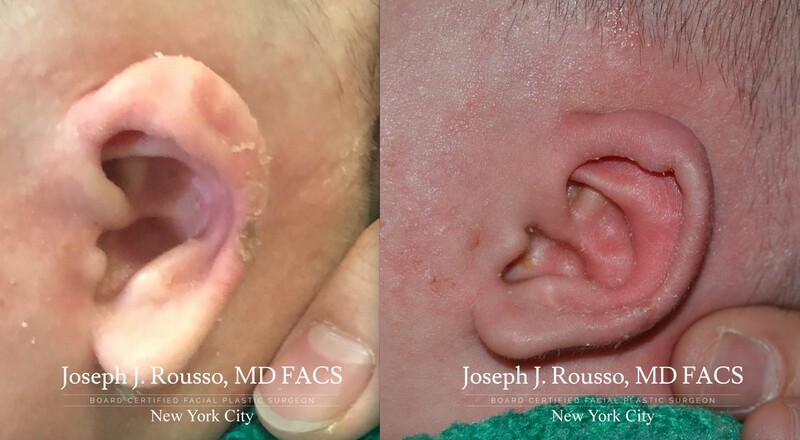 However, with the EarWell shaping system, a comfortable mold can be placed on the ear to gently reform the shape of the ear over a four to six week period. 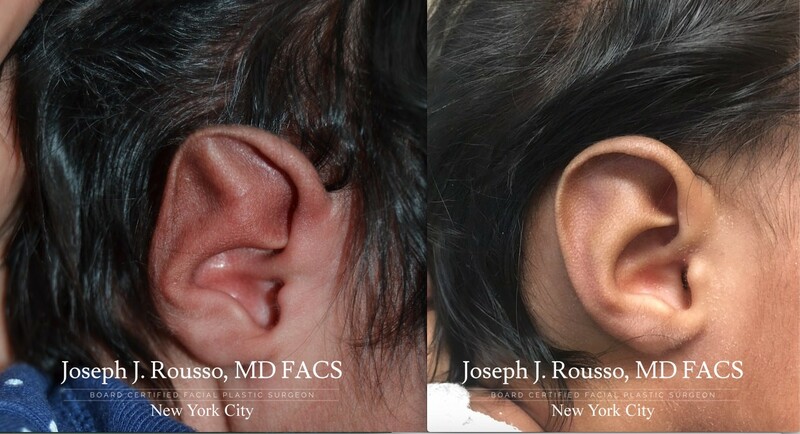 Many children and adults undergo ear plastic surgery later in life to reshape deformed ears. 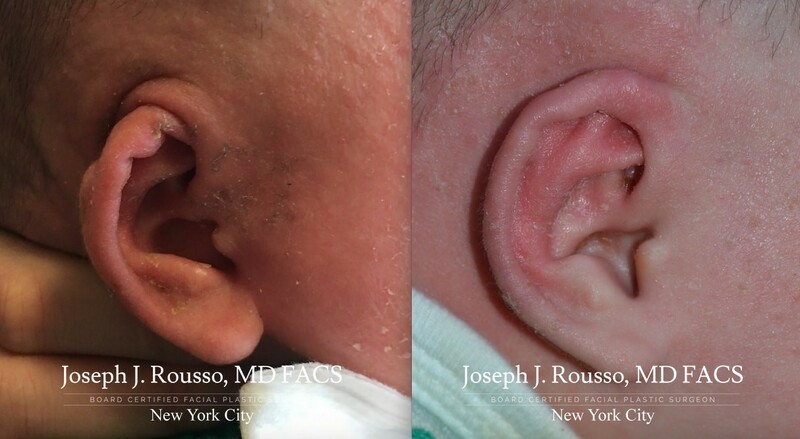 While this is an option, it is much more invasive and expensive than using the EarWell option right after birth. 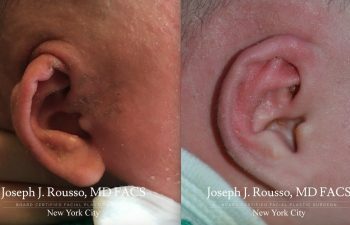 Dr. Rousso works with parents to determine whether the EarWell system will be a viable option to correct an ear deformity. 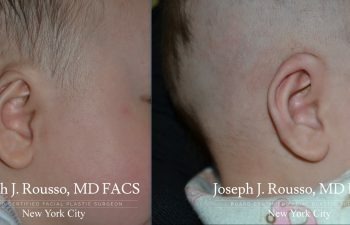 However, this procedure must be used within the first few weeks after delivery for it be effective. 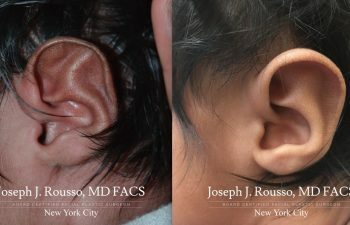 If you have a child that was born with an outer ear deformity, do not hesitate to contact our office. 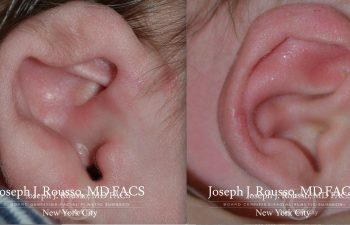 Dr. Rousso can examine your child’s ear and advise you on your best options for correcting the shape of the ear, including using the EarWell™ Infant Ear Correction System.